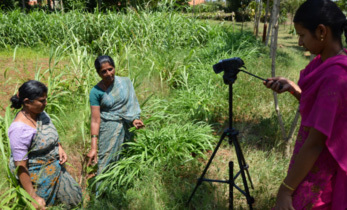 A 21-day treatment process to improve the nutritive value as well as taste of crop residues as feedstock has been demonstrated in Karnataka, India. Agricultural crop residues are the biomass left in fields after harvest. 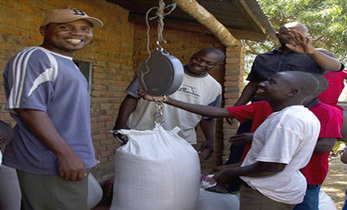 Crop residues are traditionally utilized as animal feed in many arid and semi-arid regions. Basically, they are low-density fibrous materials that are low in nitrogen, soluble carbohydrates, minerals and vitamins, and with varying amounts of lignin which acts as a physical barrier impeding microbial breakdown. Increasing livestock population and changing animal husbandry practices require a corresponding increase in the types of fodder needed. 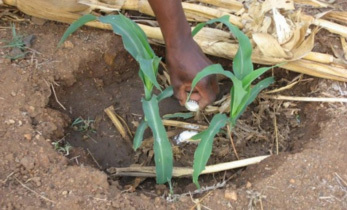 Along with a shortage of green and dry fodder, especially in the drylands, many smallholder farmers are also unaware of scientific methods of fodder production. For example, to meet nutritional requirements of livestock feed, the residues need processing and enrichment with urea and molasses. 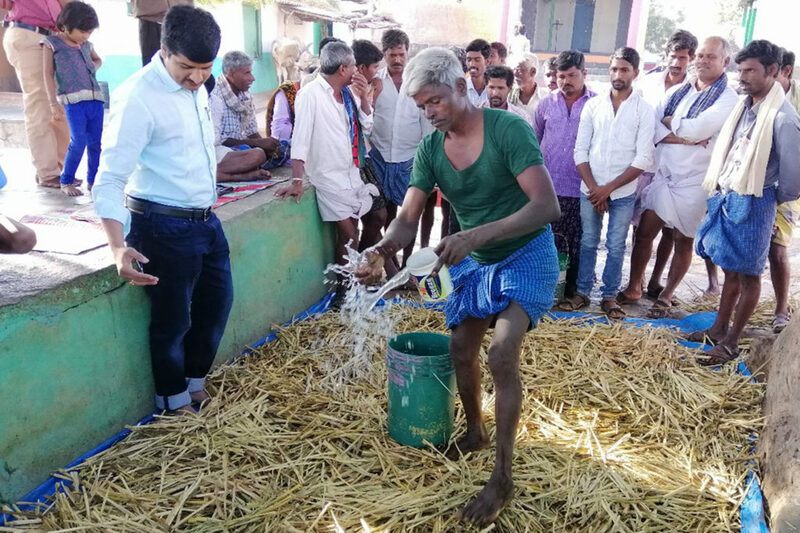 In this context, ICRISAT organized a demonstration on crop residue enrichment for livestock feeding at Lingadalli village, Ballari District, Karnataka, in November 2018. 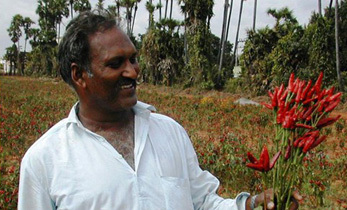 Dr Prakashkumar Rathod, Visiting Scientist, ICRISAT, briefed farmers about enriching crop residues using urea, especially during fodder scarcity. 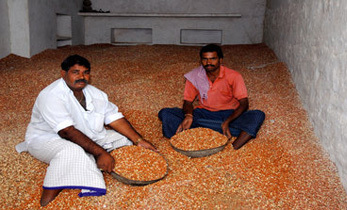 The process, involves addition of 4-6% urea to the crop residues and storage at 30-40% moisture level stored for 21 days under anaerobic conditions. This enrichment could be performed on crops with thick stems, e.g. straw of sorghum, maize, pearl millet, napier grass, sugarcane etc. This method improves palatability and fiber digestibility, as well as supplies valuable protein in the form of nitrogen. Dr Mukund Patil, Visiting Scientist, ICRISAT, talked to the farmers about the objectives of the ongoing Phase-II of the project. 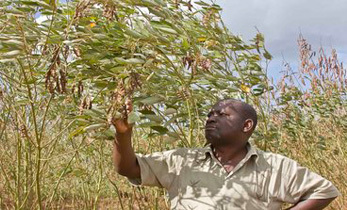 The goal of the second phase is to stabilize the model developed during Phase-I and scale it up to surrounding villages, with a special focus on enhancing agricultural productivity and profitability in the communities.